BMW early next decade will introduce an electric car badged an i4 that it previewed with the i Vision Dynamics concept unveiled during the 2017 Frankfurt auto show. BMW Group CEO Harald Krueger made the confirmation during the 2018 Geneva auto show, adding that the i4 will be one of the 12 electric cars the automaker will launch by the end of 2025. 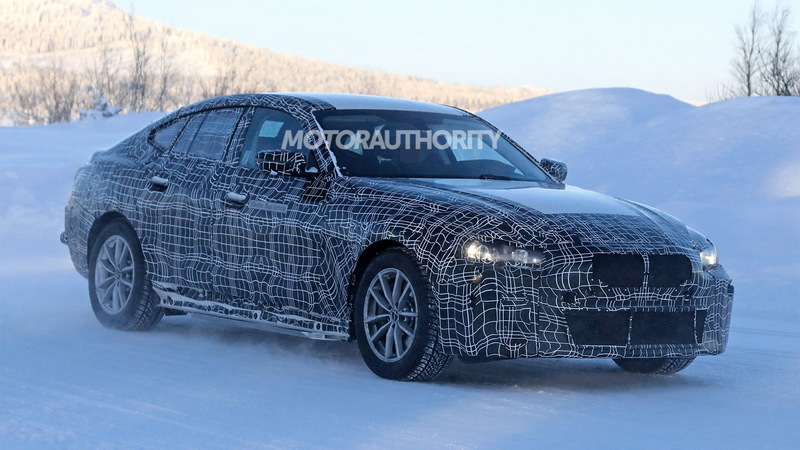 Now we have the first spy shots of a very early i4 prototype. The debut will take place in 2021, meaning we should see the car arrive as a 2022 model. The prototype is heavily camouflaged and likely sports some fake elements to hide the true shape. 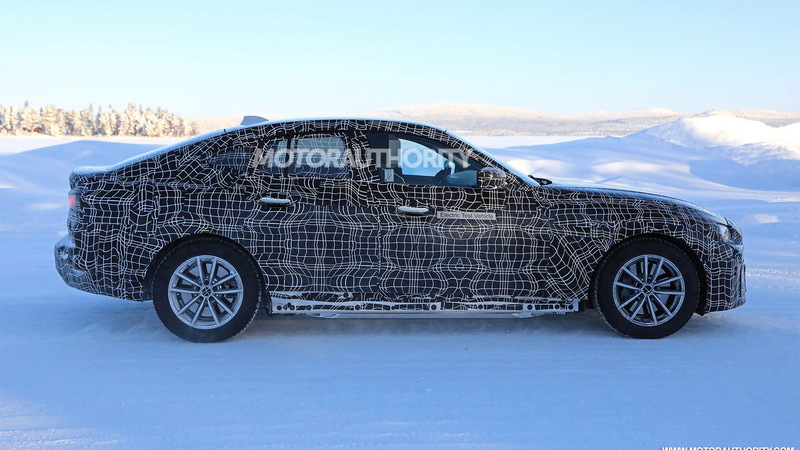 However, clearly visible is the “Electric Test Vehicle” sticker on the rear and flanks. You'll also notice the exhaust tip is a sticker as well, and peeking out from underneath the tester looks to be a flat battery pack. 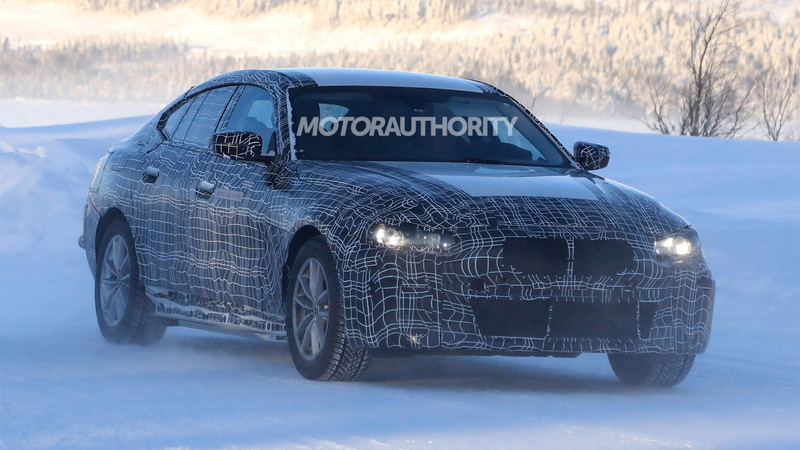 We know the i4 will be part of the next 4-Series family, but the car will feature elements to ensure it stands out. 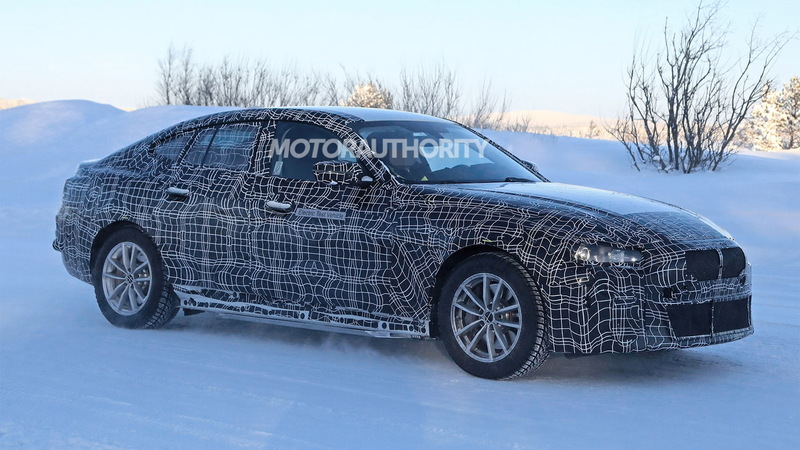 It will be most closely related to the next 4-Series Gran Coupe but may sit higher to allow space for batteries above the axles and not just between them. This ties in rumors that the i4 will fill the void of the 3-Series Gran Turismo that last year we learned will likely be phased out after the current generation. The i4 is expected to offer up to 375 miles on a single charge. 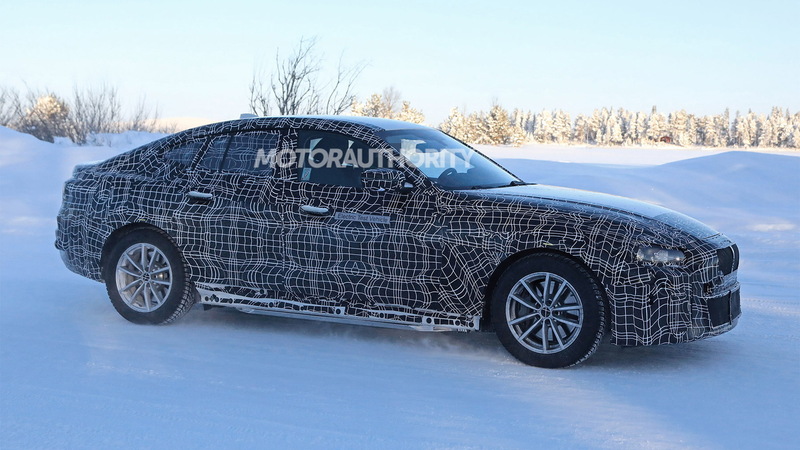 BMW's much-hyped iNext SUV could be even higher with 435 miles of range. The substantial range estimates will be made possible by BMW's fifth-generation battery design in sizes ranging up to 120 kilowatt-hours. However, we should point out that the estimates are based on the new WLTP cycle introduced in Europe and will likely end up lower when rated by the EPA. The closest rival to the i4 will be Tesla's Model 3. However, Mercedes-Benz is thought to be readying an electric car similar in size to the C-Class, and there could be more electric offerings in this segment by the time the i4's debut rolls around. Before the i4 arrives, the BMW Group will launch an electric Mini hardtop in 2019, an electric BMW X3 in 2020, and the iNext in 2021. The i4 will follow the iNext later in 2021.